Green-energy technologies for enterprise data centers include end-row cooling, geothermal heating and other innovative ideas for IT operations at large. The benefits gained through virtualization can be moot without an effective management strategy. Retaining the benefits gained through virtualization comes down to virtualization management policies and the tools of the trade. 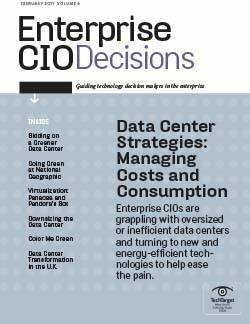 Sales growth was outstripping eBay's data center design until its CIO introduced a more sustainable and economical approach to IT.